Teething in babies usually happens when they are near their first year or for some when they are 6 months old. It varies from baby to baby as for some, teething starts early and for some, it starts at its own sweet time. Let’s talk about some of the best home remedies for teething babies that will help you to take their journey forward happily. Teething babies: What are the symptoms? Every baby’s development and growth is much different from the other. So you really can’t compare the two and reach to a conclusion. Early symptoms of teething includes swollen red gums, pain in gums, irritation, excessive drooling, there might be sleeplessness as well due to pain in the gums, decreased appetite, constantly pulling ears or rubbing nose for no reason. So just look out for these signs and gear up for the teething process of your baby. Some babies might suffer from loose motions or fever during the teething process but just make sure by consulting the doctor that this is the reason behind all these changes in your baby. Fever could be seasonal and loose motions might be a cause of some infection. It is very difficult for a mother and a baby to pass smoothly through the teething phase. So it is a good idea to know about some home remedies that will help you and your baby to sail through this process with some ease. A cold teether or banana proves to be helpful in soothing the painful gums of your baby as it provides relief for some time from the pain. Keep it in the fridge for some time to make it cold. Make sure that the teether is properly sterilized so that your baby can chew that for some time. A banana is definitely healthy and sweet for your child as he will chew it on for a long time and that will be a sweet treat for him as well. A gentle massage on your child’s gums will give him much needed relief from the pain. Just wash your hands well before placing your finger in his mouth and make sure that your nails are also cut and properly filed. 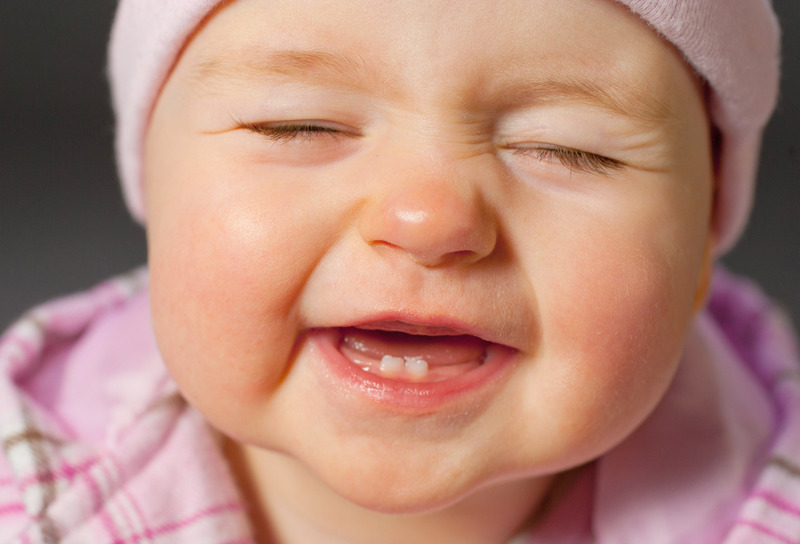 Then put a little pressure on your baby’s gums and massage them gently for some time. He will get a soothing effect for sure. Clove oil is known for its soothing and numbing effect on the pain during toothache. It proves beneficial for soothing the teething pain as well. Just take 2 drops of clove oil and dilute it completely by adding in 2 tbsp of water to it. Mix it well and apply this mixture on your baby’s gums 3-4 times in a day. This will also give much needed respite from teething pain. Keeping a steel spoon in the freezer and then placing in your baby’s mouth is indeed an effective remedy for your teething baby as the cold temperature soothes the pain in the gums and gives a numbing effect to them. This gives a relief to your baby and you need to give a medium size smooth steel spoon that can just go easy on the gums. Make sure that you do not leave your child unattended when the spoon is in his mouth. Keep a close eye for sure! Place a sterilized and soft towel in the freezer, take it out after some time. Now massage it on the gums of your baby and make sure that your baby is comfortable when you are doing this. It should not be too cold for your child. Just keep rotating it on the gums of your baby for some time and make sure that the cloth is absolutely clean. It is very important to distract the mind of your baby by keeping him busy in playful activities. This will help him in forgetting the pain for at least some time and you can also soothe your baby by singing a nice soothing song or playing soothing music around him. All he needs is the warmth of your arms and your soothing lullaby. Teething in babies is indeed a very painful process but with these handy tips this process will be a smooth journey for you and your baby. 1. Keep a soft towel handy for wiping off excess saliva from your baby’s skin as this might lead to skin irritation. 2. Make sure that the teether or a spoon is clean and properly sterilized. 3. Do not give freezing cold fruits, teether or spoon to your baby. It should be cold enough that your baby can put in his mouth easily. 4. Keep a close eye on your baby when there is something in his mouth to avoid choking. These helpful home remedies will indeed make the journey of teething babies simple and smooth with less fuss and pain.